Use the shopping basket & pay securely via PayPal using UK credit or debit cards (inc. Mastercard, Visa, Delta, Solo, Switch/Maestro, Amex.) Payment can also be made by U.K cheque and Wire Transfer from U.S.A.
A confirmation email will be sent shortly after your order has been placed to confirm your order and delivery details. 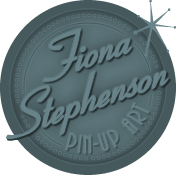 Fiona Stephenson offers Free Worldwide Delivery on all orders. Delivery can be made to an address other than the purchase address. All oil paintings are sent using registered post to ensure delivery and trackability. Upon clearance of payment your order will be sent within 7-14 days. All artwork is securely packaged to ensure safe transit. Please ensure that you will be at the delivery address to sign for it. It’s always a good idea to consider giving a work address if you will not be there during the day. An important note on colour matching: While we try to represent our artwork in the truest way possible, we would like customers to be aware that there will be colour variance. Every computer monitor is calibrated differently, therefore it is not possible to be 100% accurate on colour matching when comparing the website images and the final output of the art. We apologise for this limitation and are happy to assist you over the phone should you need further clarification on colour matching. All designs and images are exclusive to Fiona Stephenson and are protected by copyright. It is not permitted to copy, publish, display, distribute, manufacture or create derivative works of any designs or products in this website for any purpose. Fiona Stephenson is not be liable to any person for loss or damage which may arise as a result of any failure by you to protect your password or account. You are responsible for the confidentiality of your password and account and any activities that occur under your account. Fiona Stephenson is not be liable to any person for loss or damage which may occur to computer equipment as a result of using this website. Fiona is always happy to consider any commission ideas you may have. Do you accept foreign / international orders? Yes. All artwork and prints have FREE Worldwide Delivery. Original paintings will be securely packaged and insured with tracking number. Is it possible to license your artwork? Yes. Fiona’s art is available for commercial Licensing on your products. Can I buy prints in bulk? Yes, prices can be arranged for multiple buys.